The holidays always have the potential to be a little overwhelming, and in the rush to welcome the latest trends and advances—quite notable this past year, from growing ebook audiences to newly digitized archives—occasionally we miss the opportunity to acknowledge the losses that have also defined our year. We’d like to take a moment to reflect on the very recent passing of two members of the University of Chicago Press community. Muzaffer Atac (1931-2010) was one of the founding scientists of the Fermi National Accelerator Laboratory and longtime head of Fermi’s detector development group, all while working simultaneously as a physics professor at the University of California, Los Angeles, and the University of Texas at Dallas. 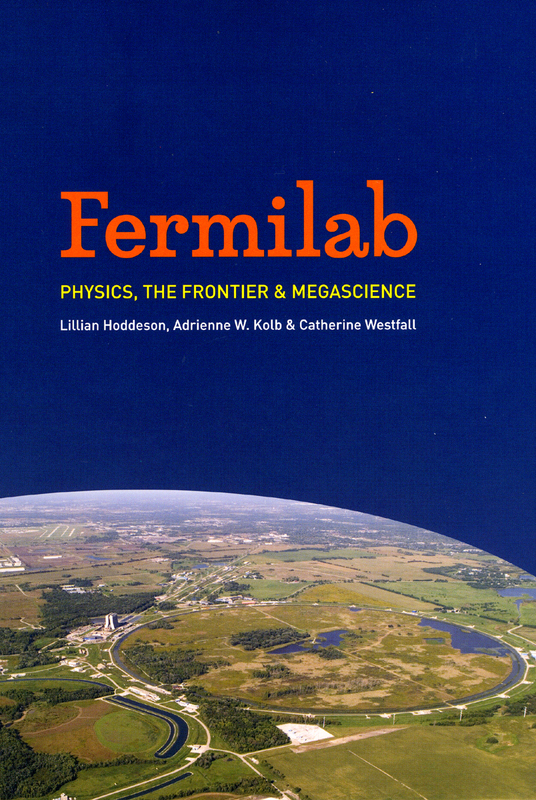 In a career that spanned 40 years of service with the Department of Energy, Professor Atac played an integral role in the history relayed by Lillian Hoddeson, Adrienne W. Kolb, and Catherine Westfall’s Fermilab: Physics, the Frontier, and Megascience. Fermilab uses the backdrop of the cold war and captures the real human dramas played out by Atac and his colleagues at the cutting edge of science in the twentieth century (you can have a peek at Atac’s powerful legacy via a website devoted to . . .
“The days of the digital watch are numbered.”—Tom Stoppard Maybe it’s watching David Ulin’s piece at the Los Angeles Times on the rise of the ebook traffic through the internet, or maybe it’s nostalgia for the numbered days of all sorts of products: Tom Stoppard’s digital watch; Nike’s limited edition, Marty McFly-inspired, self-lacing shoes; or the CD boxed-set of Mariah Carey’s Memoirs of an Imperfect Angel, Collector’s Edition. In any case, it is (afterall, or we jest in the style of our esteemed distributed journals, Afterall) the season of giving. Is your Dance card full? Are you a cinephile in the vein of Jonathan Rosenbaum or do you side with Roger Ebert’s take on Groundhog Day? Do you wring your hands with anxiety about the sensibilities of Mr. and Mrs. Adams? Holidays have you feeling down? 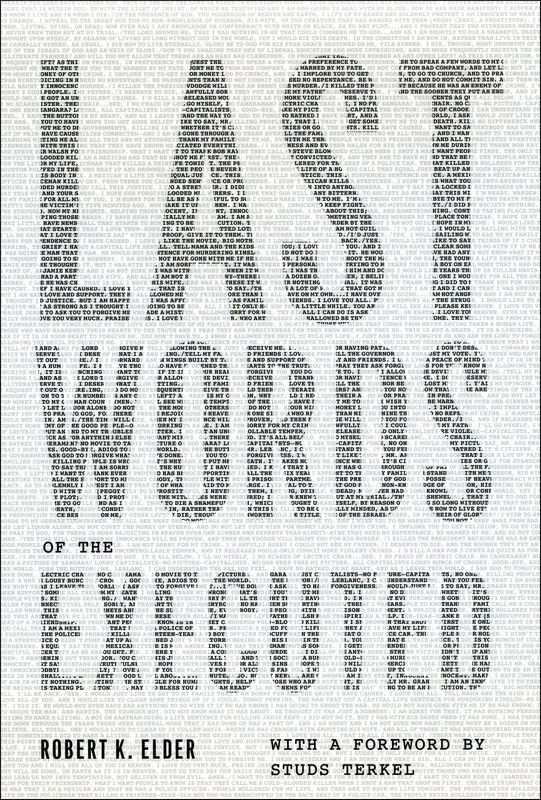 Probably not as down—or as pathos-driven—as Last Words of the Executed. 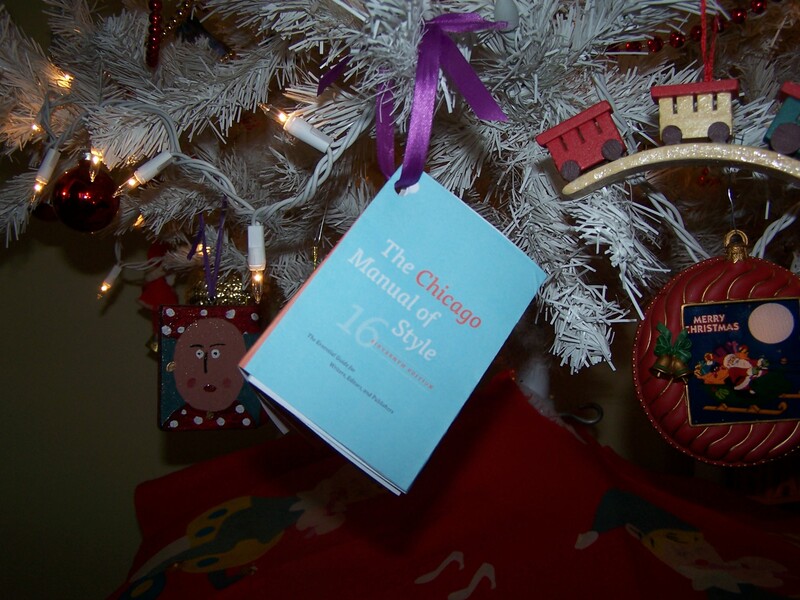 Did you know that all of these books, along with many more Chicago favorites, are available in (highly portable! low cost!) electronic editions? And now, through December 31st, enter the promotional code EBK2010 in your shopping cart to receive a 30% discount on any ebook published by the University of Chicago Press. Happy . . .
Polycrates of Samus, Pisistratus (the tyrant of Athens), the real-life cast of the television program Hoarders, King George the Fifth (philatelist), Jay Leno, the curators of the British Lawnmower Museum—certain people have been known to collect a thing or two. 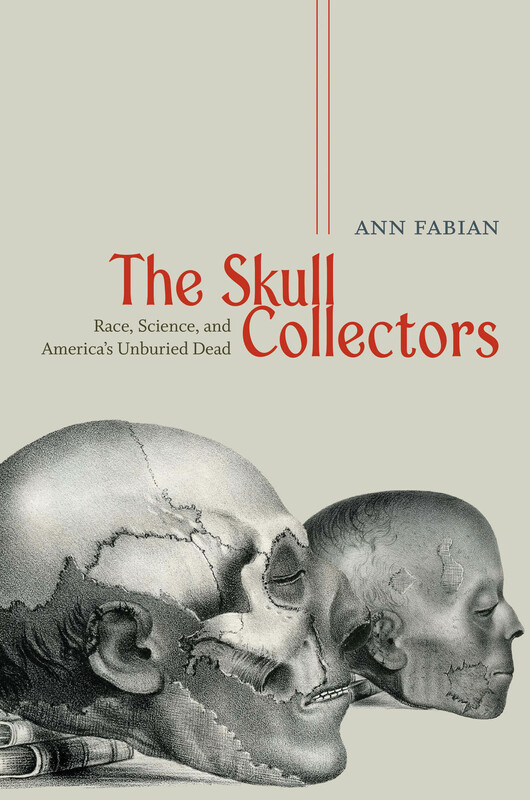 We recently schooled ourselves on the Freudian psychopathology behind collecting, and though we’ll spare you our findings, suffice to our cultural obsessions with objecthood doesn’t seem in danger of disappearing any time soon. Or does it? “A centre of European culture and a repository of the Western tradition that escaped Hitler and survived the Blitz may finally be destroyed by British bean counters.” That’s from a recent article in the NYRB about the Warburg Institute and its breathtakingly recondite offerings from the once-private collection of Aby Warburg (1866-1929), cultural and art historian, patient of Ludwig Bingswanger, and observer of the Hopi snake dance. As the Independent reports, the Warburg Institute might be foisted from its home at the University of London due to an increase in rent, which puts much of its collection either in peril or at the liberty of the University’s Dewey Decimal system. Warburg organized everything according to “good neighborliness”—we could not love this more if we . . . The week that was and oh, what a week it was! It slipped through our fingers like sand through the hourglass! We nearly fainted with the outpouring of yearly best-of lists and insightful mentions. We’re too overwhelmed to keep everything under wraps until Thursday next—we offer the below, with humility for the tardy appearance of this post and fervor for the warp and weft of a wrap-up of that week that was: “This must be Thursday. 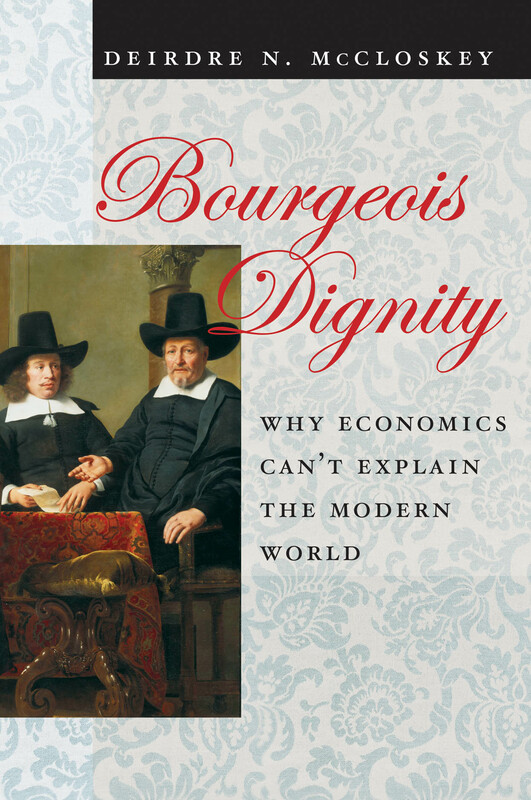 I could never get the hang of Thursdays.” The Boston Globe reviews The Bourgeois Dignity: Why Economics Can’t Explain the Modern World, our most recent offering from the “outrageously prolific and always fascinating” economist and writer, Deirdre N. McCloskey. “The latest chapter in what has to be one of the most interesting scholarly careers in America today.” We agree! 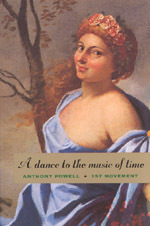 Anthony Powell’s A Dance to the Music of Time finds worthy mention at the Atlantic‘s “The Best Book I Read This Year” series. “It’s a particularly interesting book to read in one’s twenties.” Hey, we remember when we wrote at the Atlantic in our tw—wait, the Atlantic (Monthly)? Er, nevermind. That ship has sailed, Christopher Cross. That ship has sailed. Jonathan Messinger commends Larry Bennett’s The Third City: Chicago and American Urbanism with a solid tagline . . .
Did anyone else watch Patti Smith on the Colbert Report Monday night? We’re Luddites without a TV, we admit, and this pales in comparison to her insanely gracious impromptu live appearance with the Tiny Cover Band at Columbia College in Chicago, but. . . . Sigh. Ms. Smith. May all of our cultural heroes continue to inspire with such ferocity. Speaking of: if you haven’t read Just Kids yet, why are you waiting? In the book’s opening, Robert Mapplethorpe is dying—going, going—and then (heart wrenches): gone. Smith wakes up, knowing and undone, to “Vissi d’arte” from Puccini’s Tosca: “I have lived for love, I have lived for art.” I admit to having read Just Kids three times over within 72 hours of purchase. I admit to my own repeated listening to the music that informs the work, Smith’s own life: Puccini; Tim Hardin; an awkward, failed reevaluation of the Doors; Radio Ethiopia again and again. But the Puccini—there must be something in the air. One-hundred years ago, this past Friday, Puccini’s la Faniculla del West (adapted from David Belasco’s play, The Girl of the Golden West) premiered at the Metropolitan Opera. From the New York Times‘s recent centenary commemoration: Toscanini . . .
Top Five or Ten: Bernie Sanders for book club president! Three-day weekend: fin! We’re back with a vengeance today: and by vengeance, we mean filled with admiration and applause for Robert K. Elder’s piece on the approaching 150th anniversary of the largest mass execution in US history, which appeared in this morning’s New York Times. Elder, author of Last Words of the Executed (a sample of excerpts here), profiles the fate of the thirty-eight doomed Dakota Indians executed that day, including one story of mistaken identity, and updates us with the possible case for federal pardon. Spot-on narrative coverage of a historical issue with lingering repercussions for our own heated debate on capital punishment, we say. Congrats, again, Mr. Elder. In other news, we’ve been poring over the 124-page transcript from Senator Bernie Sanders’s filibuster this past Friday. Galleycat already ran with a well-researched piece on all of the references Sanders made to books in his eight-and-a-half-hour-long speech (plus excerpts!) filibustering the tax deal shaped by Congressional Republicans and President Obama. With that post as inspiration, we thought to Top Five or Ten this, in tribute to Senator Sanders’s verbal endurance and in spirited promotion of books we think he might squeeze in as holiday reading before the next round: . . .
W. J. T. Mitchell (Cloning Terror: The War of Images, 9/11 to the Present) and Tzvetan Todorov (The Fear of Barbarians: Beyond the Clash of Civilizations) finish their discussion, focusing on Nick Ut’s iconic image of the Vietnam War, the duty of humanities scholars, and the changing face of liberal democracies. ** Dear Tzvetan: I have located the picture from the October 23rd New York Times, and it is, as you suggested, quite appalling. The little girl, having seen her parents killed in front of her by U.S. soldiers, is wailing in grief, while the figure of a soldier stands in the shadows outside the illuminated area where we see the blood-spattered child. I sometimes wonder how an embedded photographer can bear to take such a picture, which was clearly done at very close range in the immediate aftermath of this event. The picture also raises the question of the ethics of beholding. 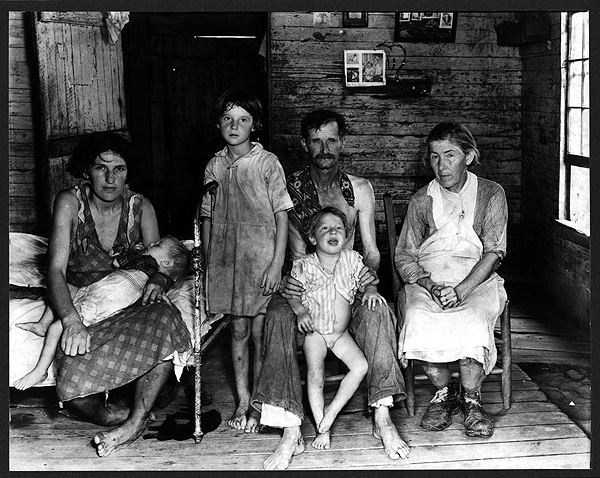 As James Agee put it so memorably in his commentary on Walker Evans’s photographs of destitute sharecroppers: “Who are you who will read these words and study these photographs, and through what cause, by what chance and for what purpose, and by what right to you qualify . . . 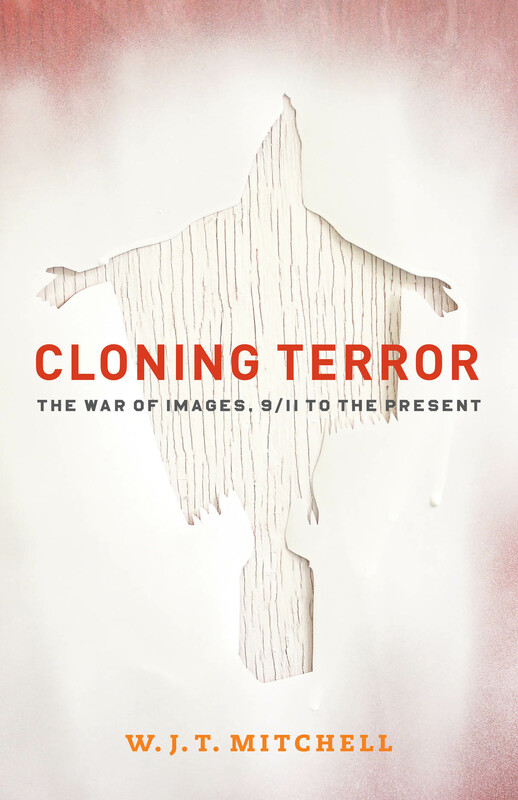 Welcome to Part II of our inaugural exchange, between Tzvetan Todorov, author of The Fear of Barbarians: Beyond the Clash of Civilizations (one of the Guardian’s 2010 Books of the Year) and W. J. T. Mitchell, whose Cloning Terror: The War of Images, 9/11 to the Present, just published. Join Todorov and Mitchell as they discuss international media coverage of WikiLeaks and more below. Dear Tzvetan: Your linking of my image repertoire to Goya is very shrewd. The Hooded Man on the box curiously reminds some people of Goya’s executioners and inquisitors—a strange reversal of the roles of torturer and victim. But I wonder what you think of the Christological echoes in this figure? To me, they seem unavoidable, but certain people have expressed resistance and skepticism, based on ethical concerns that this turns us away from the reality depicted in the picture. My answer is that there is a reality produced by the pictures in their reception that also needs study. But the question I am most eager to ask you has to do with the concept of the the “historical uncanny,” which to me is the spark that leaped between our two books. First, a purely personal thrill . . .
We’re kicking things off with a series of letters between Tzvetan Todorov, author of The Fear of Barbarians: Beyond the Clash of Civilizations and W. J. T. Mitchell, author of Cloning Terror: The War of Images, 9/11 to the Present on the visual imagery of the war on terror, our current global political climate, and the role of the historical uncanny, in everything from Abu Ghraib to Goya’s Disasters of War. Filled with insights into the culture of occupation, Todorov and Mitchell’s correspondence puts the two scholars in conversation for the very first time and we hope that you’ll join us for the next three days as we watch their exchange unfold. 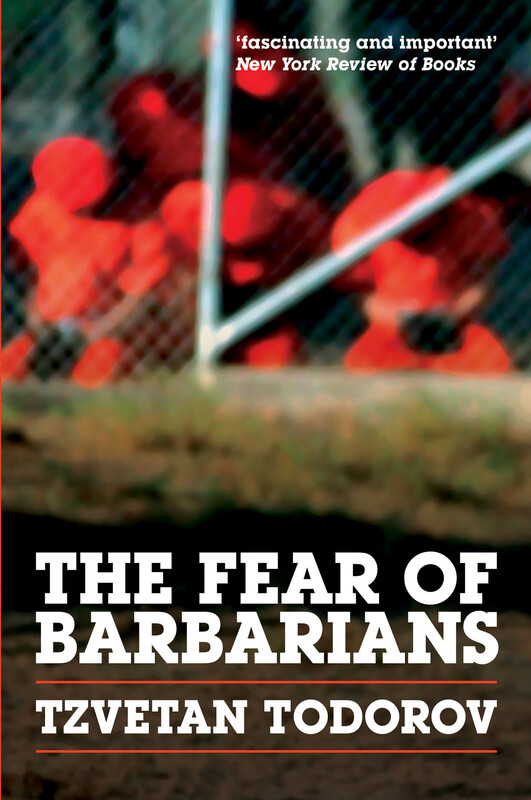 Dear Tzvetan (if I may): First let me say how much I have enjoyed your new book, The Fear of Barbarians. I find your account of the rise of Islamophobia very compelling, and I am especially struck by your remark that “the fear of barbarians is what risks making us barbarians.” My favorite English poet, William Blake, put it this way: we “become what we behold,” by projecting a feared image of the Other as cruel and uncivilized, and then mirroring back exactly the behavior we deplore. This . . .